Eddy Cue talks music, the iPhone, and…data roaming? Our time comes to an end but Cue isn’t about to let me leave. He wants to show me footage of soulful warm-up act, Andra Day’s Apple Music Festival set and, in defiance of that publicist, walk me through how they’ve retooled Siri on the new iPhone (“I know I’m not allowed to talk about the phone but what the hell — he can’t fire me”). Cue also makes an offhand comment that Apple is trying to “fix” the high cost of phone data while traveling overseas, which would be a welcome move, but I’m curious about how Apple plans to do that—might we see the Apple SIM make its way to the iPhone at some point? More generally, there’s been a lot of visibility of Apple execs in the recent past, but much of the outward facing attention still falls on Tim Cook and Jony Ive. Cue has always been an interesting member of Apple’s upper echelons, and I think your traditional nerds often dismiss him 1) because his area of expertise seems to be less about technology and more about deal-making1 and 2) because his stage presence is, frankly, on the cheesy side. But his importance shouldn’t be underestimated: remember that press picture that went along with the Beats acquisition? 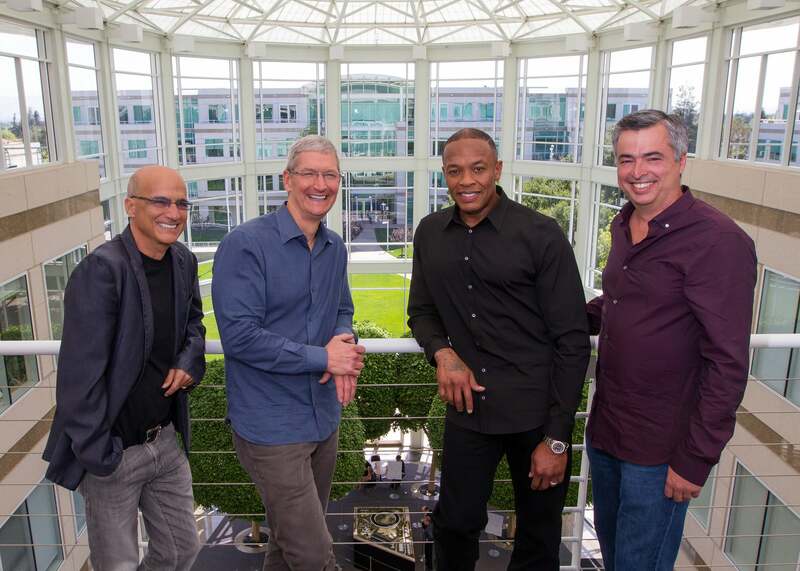 There’s no reason it couldn’t have been just Tim Cook with Jimmy Iovine and Dr. Dre, and that says something about Cue’s position.